There are many different types of gorgeous stones that are popular choices for countertops. Some of these natural stones include marble, granite, slate, travertine, and limestone. For a while these stones, when selected for flooring or counters were polished and sealed, giving a beautiful and sleek appearance that reflected light and made your space look sparkly and refined. There is a new growingly popular option in the world of design. This is a, “honed finish,” on your countertops. A honed finish takes your gorgeous natural stone and instead of leaving it with a shiny finish, makes it matte. This adds a lot of dramatic interest to a room because while it still beautifully displays the natural stone, it also is a less common finish on natural stone. Natural honed counters are starting to make their way into more homes across the world. While this is a more popular look for natural stone countertops, you can also have your natural stone flooring honed to create this gorgeous matte finish. Many people wonder if it is as sustainable as a typical polish, the answer is yes! It is just as easy to sustain and preserve. 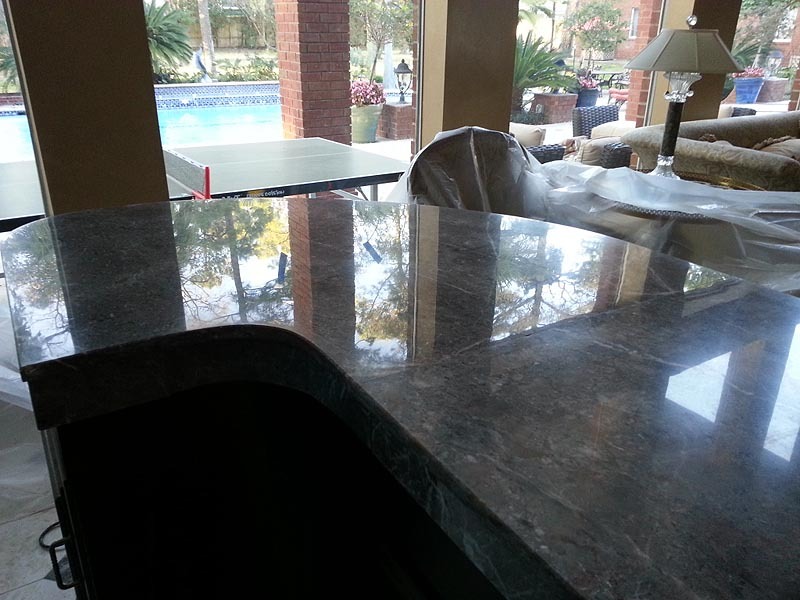 If my natural stone has been polished can it be honed? The answer is yes! If you have shiny, sparkly natural stone countertops and you decide you want to switch them to a modern, fresh, matte finish, we can hone them! The process can be a bit tedious but the professionals at Modern Stone Care are here to deliver you with the natural stone finish you love! Do not spend any more time thinking about if it is the right decision for you! Contact us today and ask us any questions you may have in relation to having your natural stone honed for that matte finish you have been eyeing! We have years of experience working with natural stone, no job is too big or small, for the natural stone craftsmen at Modern Stone Care!